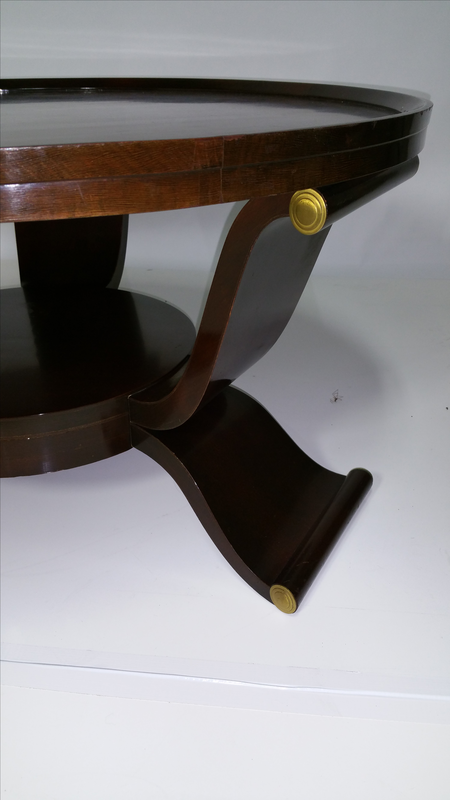 Rare, lacquered mahogany, and brass coffee table by James Mont circa 1960's. An identical table sold at the Rago Back to Modern Auction in 2012 for $1500. Condition is excellent, except for minor wear consistent with age on the top.